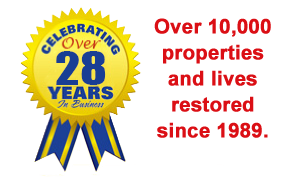 When you discover water, sewer or mold damage in a customer’s home or business, you could send them to the phone book with a “good luck,” or you can deliver the very best customer service by recommending a “go to” restorer that can help them and build your business at the same time. Protect your valuable customer relationships. Create customer cheerleaders who build word-of-mouth referrals. Help minimize the “blame game” when things go wrong. Dramatically reduce the cost of technician-caused damage. Protect against liability, especially for mold and sewage. Get back to work faster. Not only does recommending the right contractor reflect well on you, but we also make extra efforts to let your customers know they made the right decision by choosing you as their plumber. When you demonstrate to your customers that you really care by helping them solve their whole problem you create “cheerleaders”. Cheerleaders often act as unpaid salespeople, telling friends and family about their great experience with you! These word-of-mouth referrals for new business are the best form of advertising there is! Accidents happen to even the most skilled technicians. These mistakes can cause a big mess and cost you an arm and a leg to get properly restored! When you become part of our Plumber Support Program, we’ll make the financial burden of these “oops moments” a lot less painful! You want to make sure that any damage is properly and professionally restored to protect your company from downstream liability. Because ICC comprehensively documents every loss, we prove that it was restored to the proper Standard of Care when we are finished. 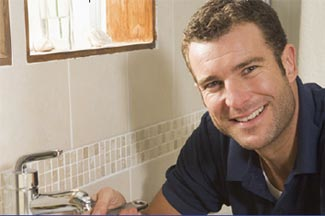 We’ll provide your customers with both the service they expect from someone associated with your business and reasons both to choose you as their plumber and recommend you to others! Call 888.739.4289 to schedule an appointment and get all the details.